Besides penny stock trading, another growing form of investing in the Forex market is the carry trade. In short, an investor sells a currency with a low interest rate and uses the funds to purchase a second currency that carries a higher interest rate. By using this strategy and leveraging the trade, an investor can make a substantial return. The most often quoted carry trade strategy is the yen carry trade, in which Japanese Yen is the borrowed (or shorted) currency. Unique conditions with the Japanese Yen became the impetus for a carry trade during the 1990’s. To understand why this became so, one needs to know some of the economic history of Japan. After WWII, Japan’s government implemented many tariffs and encouraged their people to save money and invest in domestic products. This policy lead to more money in Japan’s banks and it made loans and credit easier to obtain. Eventually this chain reaction effect caused Japan to run high trade surpluses and the cost of Japanese-produced goods were much lower than their competition overseas. Eventually this buildup of cash coupled with a deregulated financial industry caused asset prices to rise to exorbitant amounts. In 1989 the market peaked and a long decline followed called The Lost Decade in which the country experienced economic stagnation and deflationary pressures. During The Lost Decade in the 1990’s, the Bank of Japan decided to try new kinds of monetary policy in order to combat the kept interest rates as close to zero in order to encourage inflation and dissuade spending. By contrast the US had interest rates of around 5%. This allowed investors to borrow Japanese yen to buy US dollars. The interest rate differential was called a “carry”. Many large investment companies like Goldman Sachs were using this carry during the 90’s to help drive massive profits. This has continued into the 2000’s but has begun to shift as the world economy has changed. One of the primary issues with the yen carry trade was that it depended on having a second currency with a high interest rate. In the 90’s the US dollar was around 5% but due to the world financial crisis in 2008 and the mortgage bubble in the US, the Federal Reserve began to adopt similar monetary policy to the Bank of Japan including holding interest rates near 0%. This has caused investors to look at other currencies such as the Australian Dollar, which currently holds an interest rate of 2.75%. Many utilizing carry trade strategy now utilize the low rate of the US dollar and the fact that it has been depreciating against most world currencies. This is especially favorable to those borrowing USD as the amount needed to repay the loan is smaller and contrasts with the Japanese Yen which up until recently had been appreciating against almost every world currency. As with all Forex trading, the primary risk/reward is defined on which direction the exchange rate moves and where your position is open. An issue in finding a good currency pair to utilize the carry is that the exchange rate moving is the risk. The currency exchange rate needs to be fairly stable and predictable in order not to risk losing far more than a carry differential will produce. Considering most traders will be utilizing leverage to maximize profits, this can also maximize losses if a pair moves against you. Re-Emergence of a New Yen Carry? While the global financial crisis signaled the end of an era in lucrative yen carry trading, there might be a new potential on the horizon. The Bank of Japan has again shifted monetary policy in order to end what it calls “endaka”, or “strong yen”. For Japan, it is detrimental to have a highly valuable Yen as their economy is strongly based on exports. A strong Yen causes the price of goods sold overseas to rise. Coincidentally it also harms the yen carry trade. In April 2013, the Bank of Japan decided to spend $1.4 trillion USD over 2 years to double its monetary base and combat endaka. Is Utilizing the Carry Trade For You? This brings us to the final point. Does it make sense for you to use the carry trade? It’s unlikely that we will see the high interest rate differentials of the 90’s with modern monetary policy. It’s also unwise to eschew traditional Forex trading basics. Coupling knowledge of how to use a carry will help to maximize your potential gains and act as icing on the cake when Forex trading. Stay up to date about everything penny stock related by getting on our FREE eMail list! Posted in ForexComments Off on What is the Carry Trade? 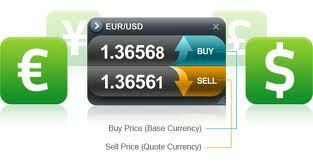 Currency trading is performed on the Forex market where currencies are traded back and forth on a daily basis. Unlike stocks and bonds, the currency market is unregulated by government. All members of this market trade with each other on credit agreements. Another distinguishing factor between the currency market and other markets is the use of dealers instead of brokers. Dealers take on market risk by acting as a counter party to the investors trade. They make their money from the spread in the bid/ask price instead of commission. One advantage to currency trading is you do not have to pay commission to trade. However, currency trading can be an extremely risky due to the high volatility of the market. 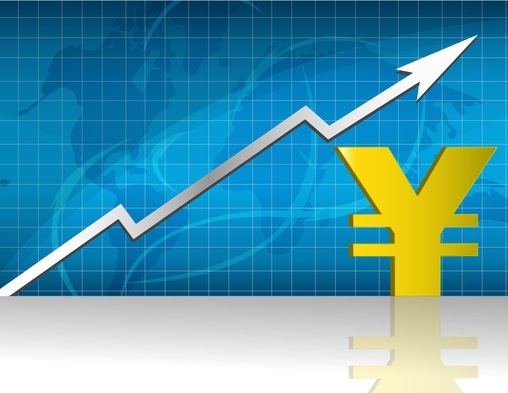 The first step to understanding the foreign exchange market is knowing about hard currencies. Hard currencies are considered to be reliable because of the short term stability of its purchasing power. Currently these are the British Pound (GBP), Japanese Yen (JPY), Swiss Franc (CHF), Euro (EUR), US Dollar (USD) and to as lesser extent the Canadian Dollar (CAD) and Australian Dollar (AUD). The USD, GBP, JPY, CHF, and EUR account for over 90% of the world currency reserves. 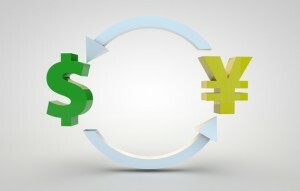 Currency trading is the act of buying and selling world currencies. The currency trading market is a multi-trillion dollar market and is the largest market in the world. Individuals, corporations, and banks trade on the currency market or FOREX (foreign exchange market) every day. There are many reasons for trading currency, such as corporations that operate on a global market and need to trade their foreign currency back to their country of origins currency. Recently, individual investors have become much more involved in currency trading as the internet has made it much easier to execute a transaction. An individual investor may strictly trade currency as part of their portfolio or they may be trading currency to purchase and sell foreign stocks and bonds. 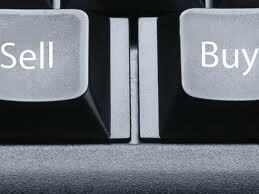 As an individual investor you have a few options for trading currency. Most individual investors have started trading currency on the internet due to its ease of use. Currency trading markets are open every day of the week. If you are new to currency trading you may want to research risk management strategies, in addition to researching and understanding what makes the currencies fluctuate in price. There are several strategies including futures which allow investors to gaurd against collapse and other risks involved with currency trading. The market moves in denominations called “pips”. A pip is the smallest fraction that a currency can move on the Forex market. For the GBP/USD pair it would be $0.0001. Currency fluctuates usually less than 1% in a day so it is traded in groups called lots and leveraged. Currency pairs are traded in groups called lots. There are 3 main classes of lot size. A standard lot is a 100k unit. For trading in dollars this would be $100,000. A mini lot is $10,000, and the smallest available micro lot would be $1000. This affects how much each pip will cost or return. A standard lot is $10/pip when the market moves and a micro lot will only be $0.10/pip. For this reason it is advisable to trade with the smallest lot size in order to diversify trading currency pairs and limit risk. Because the currency market moves in such small steps and requires large quantities of currency to make a significant profit, it’s important to choose what amount of leveraging you want to perform in order to balance risk and reward. With Forex trading, the amount of leveraging used is significantly higher than trading equities or futures. A standard leverage 50:1 or 100:1 is often used for trading currency lots. To trade with $100,000 of currency, an investor would only need to deposit $1000 into their margin account. With such a high leverage, the returns are very fast as are the losses when the market moves substantially. If the market moves 100 pips in a day, which is not all that uncommon, a standard lot with 100:1 leverage can make or cost the investor $1000. For this reason it’s also important to set stop losses to protect if the market moves against you. Since currency trading is not a regulated market the transaction prices are much lower than stocks, options, bonds, ETF’s and other investments. Financial service companies do not charge a commission for trading currency. The only cost to the investor is the spread. Currency rates fluctuate very frequently sometimes there are huge swings in the purchasing power of currencies, particularly in countries with unstable governments. The rate of at which a currency is worth against another is dependent on multiple factors. Typically you will either see currency rates posts as a ratio. For example if 1 USD equals .75 EUR then for every dollar you trade in american dollars you will get $0.75 EUR. Using the same rate if you were to trade 1 EUR you would get $1.33 USD. Click here to see the current currency exchange rates. Trading foreign currency performs in pairs, an investor is always long on one position and short on the other. For example, if you want to trade american currency for European you are long on European currency and short on american currency. The basic premise to trading currency is to purchase a foreign currency at its lowest rate and wait to sell it at its highest. Because of the fluctuation it takes well-timed buys and sells to find success trading currency. As with any investment, there will always be risk. For the latest news and developments on currency trading stay updated by getting on our FREE eMail list! There are many currencies in the world. While working with a domestic currency can be useful, foreign currencies can create an entirely new market for investment growth. The basic processes of trading can be somewhat more complex than simply buying a typical stock, but the rewards can also be greater. If you wish to deal with these unique markets, you have to first understand the underlying item which is being traded. These currencies create a unique and dense market, one which can be turned to an intelligent investor’s advantage. At the root, foreign currencies work in the same manner as a domestic currency. 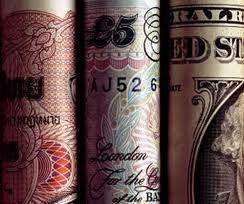 These currencies represent a bond between the government and the people and are exchanged for goods and services. The value of the money is directly connected to the economic health of the supporting country. If the country is economically strong, the currency has more buying power. If the country is weak, though, it is worth less and is thus less powerful. Each of these currencies is the equivalent to another country’s respective currency, with the difference between the two creating an exchange rate. Some countries are stronger economically than others, so the converted currency goes farther. In the trading world, this disparity between currencies creates the currency exchange market. Investors choose pairings of currencies and invest in the money that they believe will be stronger. If they choose correctly, the opposite country’s economy will falter or their own will become stronger. When this happens, the money that they hold gains in buying power and they increase their own personal wealth. The reasons behind the shifts are hard to follow in most cases, but do come down to basic economic principles. If you can follow the basics of how currencies work, you can follow this market. Stay up to date on your knowledge about foreign currencies by getting on our FREE eMail list! Investing in money seems odd to most people when they first hear about it. Even experienced traders might find Forex trading to be counterintuitive. However, when you think about all the different currencies in the world and the way that they continually change values in relationship to one another, it makes sense. Forex stands for foreign exchange. This is the market in which people engage in the old-fashioned endeavor of money-changing. Just as ancient money-changers could make profits at borders, modern investors can try to predict market movements and derive earnings from the increasing and decreasing values of modern currencies. 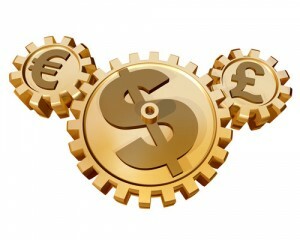 Forex is the largest market in the whole world because it technically has all of the world’s money as its asset base. Trillions of dollars in currencies are in action every day on this market. Trading always occurs in pairs and a potential trade is represented by the named pair as well as a ratio. For instance on a given day you might see a trade such as EUR/USD 1.2910. This means that 1.2910 US dollars will buy exactly one Euro. Trading numbers are always given in hundredths of cents. Trading in currencies is particularly profitable today with so many governments deep in debt and printing money to survive. Inflation is alive and well in many corners of the world. The rapid price movements that this can cause make Forex actions quite profitable. In fact, trading in Forex may be the best way to survive in such an inflationary environment. With the real prices of things like food and fuel as high as they are, you need better performances out of stocks than they may have been achieving for you. Currency trading might provide you with that extra something in your portfolio. Stay up to date about the high worth of trading forex by getting on our FREE eMail list! If you are tired of typical investments, you might want to learn how to trade Forex. The Forex market allows you to trade in currency pairs, letting you take gambles on national economies instead of companies or commodities. While not necessarily the first place that a new investor should look when building a portfolio, Forex trading is an important tool that any investor should consider. Understanding the trading process is easy, and only requires a few very basic steps. If you can understand how to trade typical stocks or commodities, the basic process of trading in Forex should be simple. The first, and perhaps most important, step towards trading Forex is finding someone with whom you can work easily. Whether that means working with a typical broker or by using an online system that you trust, you have to have some kind of support. Once you have figured that part out, the rest is (relatively) easy. You first pick a trading pair of currencies—basing a pair with the U.S. dollar is usually easiest for Americans—and make your purchases. Your success will depend on a variety of factors, but recent history should give you an idea of how the currencies are most likely to move in the near future. Trading Forex is not for the faint of heart, but it is a good way to make money. You must simply think of the process as a trading process based on even larger international complexities than usual. It might be best to think of currencies like a commodity, albeit one that is backed by a nation’s health instead of supply or demand. Once you have the basic idea down, you can work with a trusted source to make sure that you make the best currency purchase decisions. Stay up to date on methods of trading forex by getting on our FREE eMail list! What is currency trading? It is a commonly bandied-about term, of course, but not every new investor is used to the concept. In reality, currency trading is an important part of high-level investment and something that should be considered when you become interested in expanding your trading profile. To begin, though, you must take the time to understand the basics of this sort of trading. Fortunately, the underlying logic behind the concept is far easier than the reality of the trades. If you can understand the basics, you should have a firm foundation on where to start. Currency trading is a fairly simple concept. Unlike so many other types of investment, it really is a matter of buying something and judging its real performance. In this case, the item being bought is currency—usually that of a foreign country. When a currency is bought, the effectiveness of the investment is judged as related to a second currency. If you use U.S. dollars to purchase Australian dollars, for example, your investment is only bearing fruit when the Australian dollar is worth more than the U.S. dollar. The process itself can be complicated due to a number of economic complications, but the basics are actually quite simple. If you invest in currency, you have to watch the way the world works. Currencies can inflate and deflate in value at the close of a business day or after a major world event, and there is often little that you can do other than to hope that you made the right choice. If you are willing to take the time to learn how the systems of trading work and to work with an advisor who understands currency trading, you should be able to make the right decisions in the future. Stay up to date about the nuances of currency trading by getting on our FREE eMail list! Posted in ForexComments Off on What Is Currency Trading?